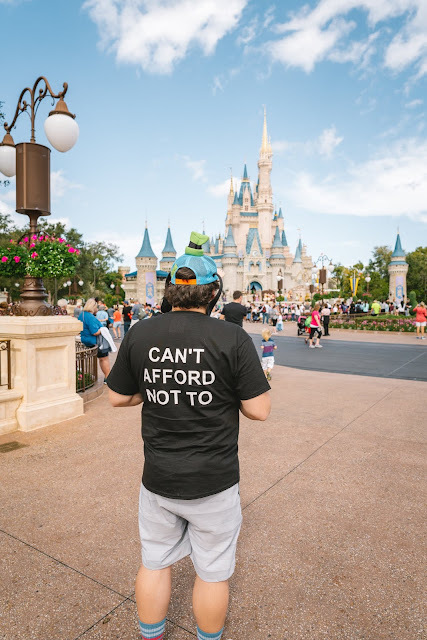 Getting there: As you probably know, Disney World is located in Orlando, Florida, which is served by the Orlando airport (MCO.) What you might not know is that if you choose to stay on one of the several WDW properties, you are treated to free transportation via Disney's Magical Express! You can book this when you book your Disney accommodations and if you do this enough in advance, they will also send special luggage tags to you, which you will attach before checking bags. This allows you to completely bypass baggage claim and head straight to one of the parks (your luggage will be delivered straight to your hotel.) 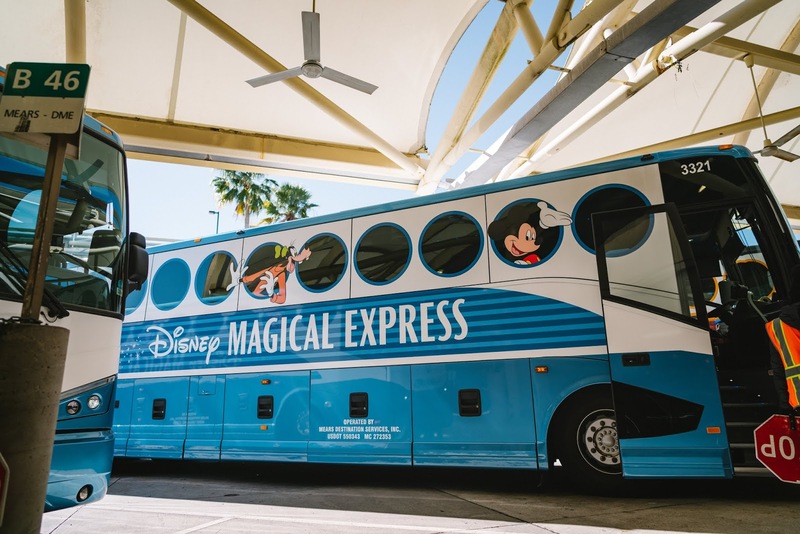 If you forget to provide your airline info ahead of time, you can still use the Magical Express... just check in with one of the cast members upon arrival. 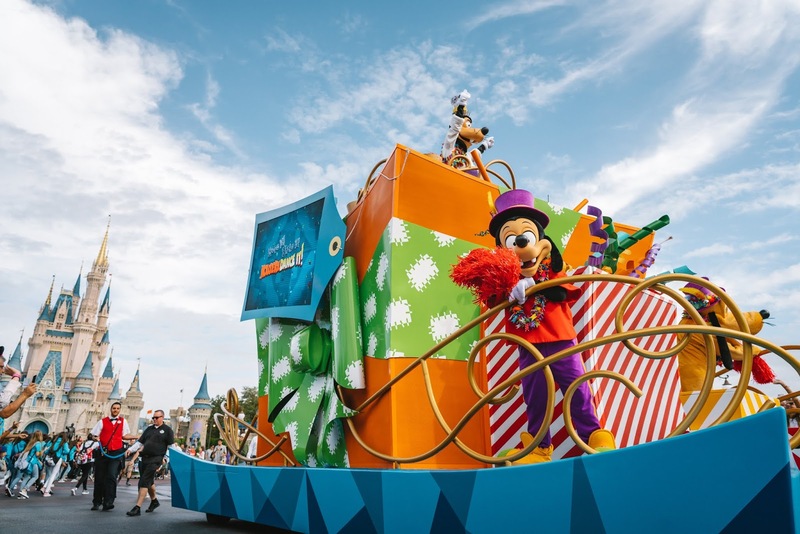 Magic Bands & My Disney Experience Mobile App: Another thing to consider doing before your vacation is to order your "magic bands." They come in different colors and can be customized with names as well. 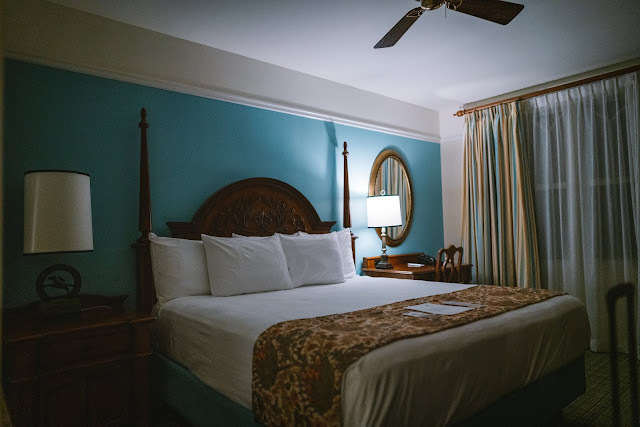 More importantly, they also serve as your room key, and store important things like your park entrance passes, fast pass selections and a credit card for charging meals and purchases to your room. They also help expedite your Magical Express transportation process and quickly link photos taken by cast members throughout the parks. On that note, I would also recommend downloading the "My Disney Experience" app before your trip, as it provides a lot of helpful info like maps, hours, wait times for rides and storing any Disney photos. Being that we had 7 adults in our party, we needed accommodations big enough for all of us to have a bed and plenty of bathrooms for getting ready. We also wanted a kitchen so that we could save a little money on breakfasts and make late night snacks if the situation called for it. (Spoiler alert = it did.) We found all of these things at Saratoga Springs. Our two bedroom villa had a bedroom with one large king sized bed, another with two queens, and a sleeper couch in the living room. We used Amazon Prime Now to deliver groceries the day we arrived, and Drizly to drop off alcohol we wanted for the room. Saratoga Springs also has several pools, an arcade and restaurants, though we didn't end up using any of those features during our stay. It is also conveniently located near Disney Springs (formerly known as Downtown Disney), which has a lot of great options for food, bars and shopping. Which area to stay: Saratoga Springs is pretty massive, so definitely request your room strategically. 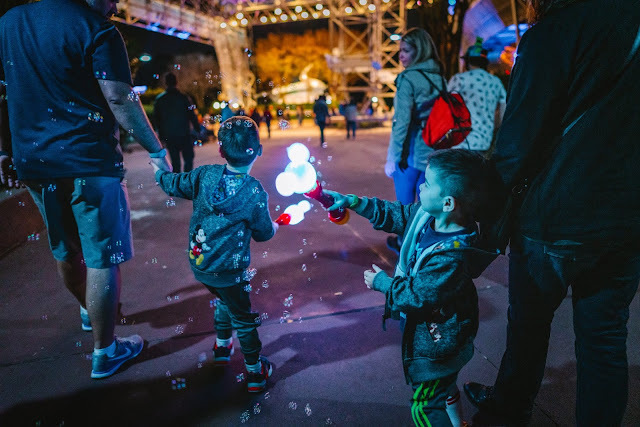 We preferred to stay near transportation to make our trips to the parks easy and enjoyable. Best areas for that include: Congress Park, The Springs or The Paddock. Drink & Eat Around the World at Epcot: I've now completed the Around the World Drinking challenge at Epcot twice, so I consider myself somewhat of an expert. By far, this was our favorite day of the trip, so I highly recommend this activity if you are planning an adults Disney vacation. 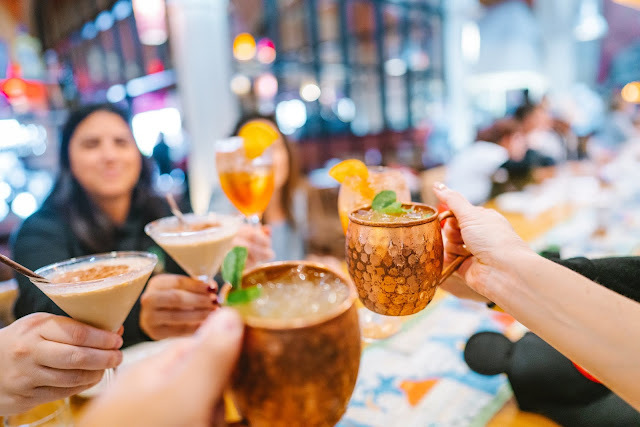 In fact, I wrote an entire blog post just on eating and drinking around the world, so definitely read that and use it as your guide. 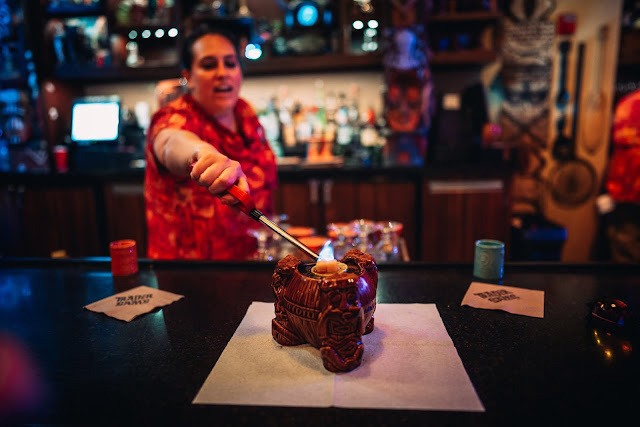 If drinking at Disney is important to you, or you just love really cool tiki bars, then definitely don't miss stopping into Trader Sam's Grog Grotto at the Polynesian Resort. (In fact, we enjoyed it so much, we went there twice!) Again, I dedicated an entire blog post to this place with detailed photos on what we ate and drank, so definitely check that out as well! 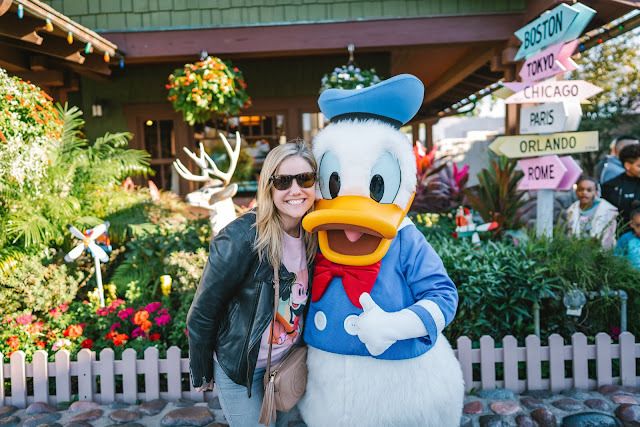 Meet a Disney character (or four or five): As much as I've written about the adults-only features of Disney World, there is something to be said for the enjoying the same magic and wonder that children do. 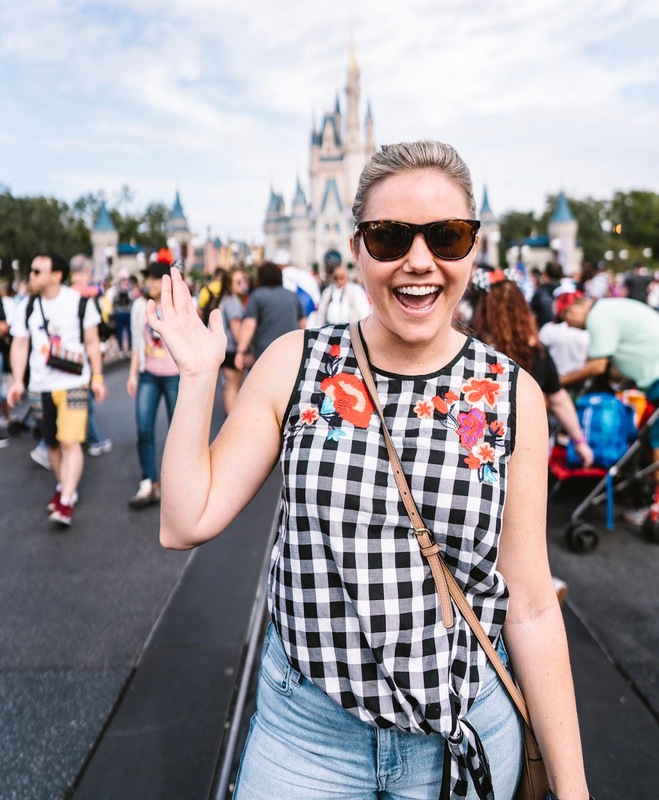 Ask any kid what their favorite part about Disney World is, and they will likely tell you "meeting Mickey Mouse" (or insert favorite Disney character/princess.) We decided that we wanted to check off the "Disney Big 5," much like you would while on Safari in Africa. 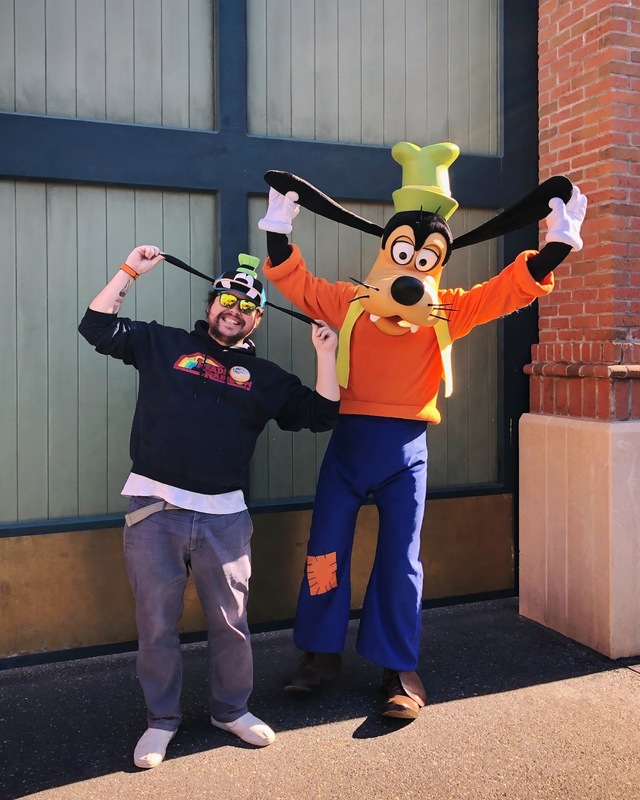 Our friend Adam declared the Big 5 to be: Mickey, Minnie, Donald, Goofy & Pluto. I'm proud to say we met ALL of them (and then some) with some bonus characters (like Mary Poppins and chipmunks) along the way. 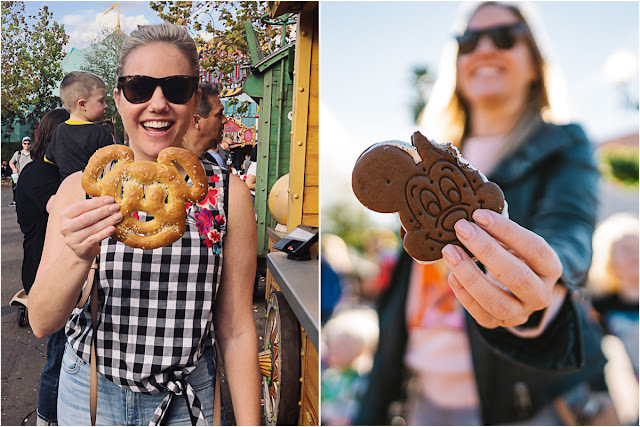 Eat like a kid- Mickey Mouse-shaped food: Disney World does a great job of self-branding, all the way down to their snacks. 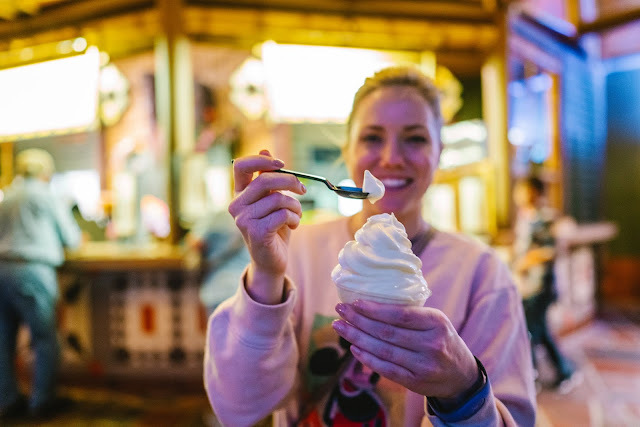 While each park boasts their own unique culinary offerings, all of them feature some staples, including Mickey-shaped pretzels, Mickey ice cream sandwiches and Mickey premium ice cream bars. If you don't eat at least one Mickey-shaped food item at Disney World, did you really go? 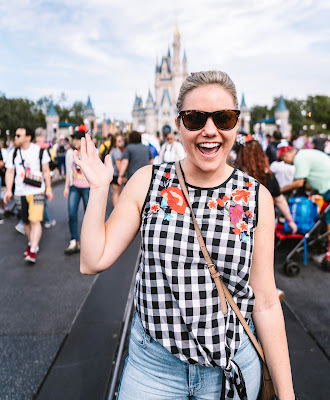 Eat like a kid, continued- Casey's Corner: During our day at the Magic Kingdom, we decided to do a group lunch at Casey's Corner, which is conveniently located on Main Street USA. 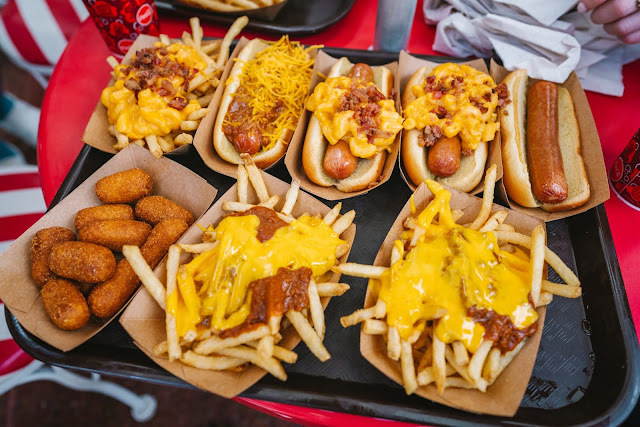 Casey's Corner is a quick service, baseball-themed establishment that definitely makes you feel like a (fat)kid again. 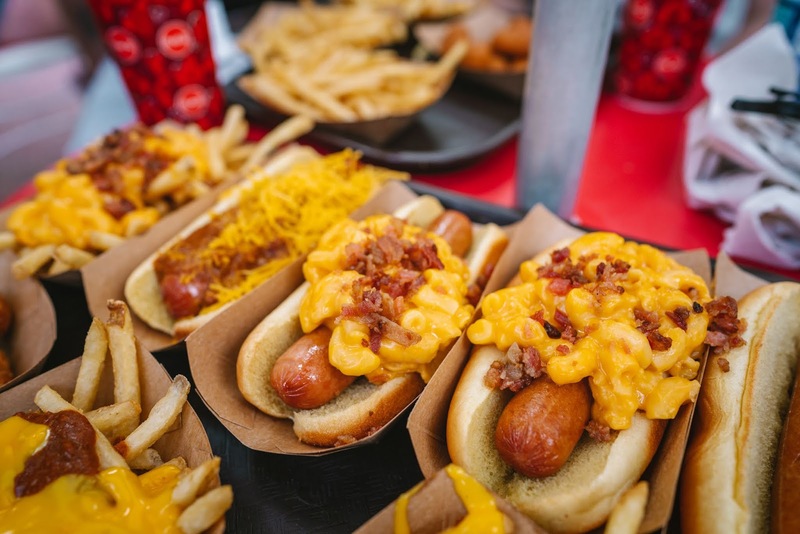 As you might expect, their specialties are hot dogs, ranging from standard ballpark dogs to mini corn dog nuggets to foot-longs topped with mac n' cheese and bacon. Luckily, we did over six miles of walking that day, so it sorta cancelled out these massive calorie gut bombs. Party at a Parade: Unintentionally, we happened to be entering the park just as the "Move it! Shake it! Mousekedance it! 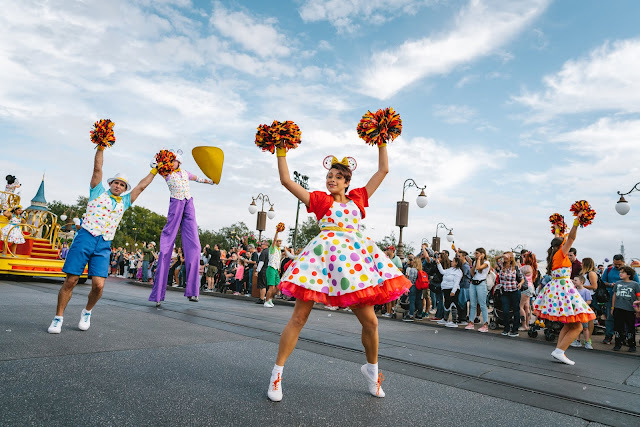 Street Party" was movin' and groovin' its way down Main Street USA. Mickey, Minnie, Donald, Daisy and Goofy dancing past us with Cindarella's castle as the backdrop was the perfect way to kick off our day in the Magic Kingdom. This particular parade goes off at 11, 12:30 and 5:45 each day. There is also the bigger parade, called Festival of Fantasy, that marches daily at 3pm. Ride some rides (and reserve FastPass when possible): No matter what your age, a big part of the fun at Magic Kingdom (and Disney World in general) is the rides! 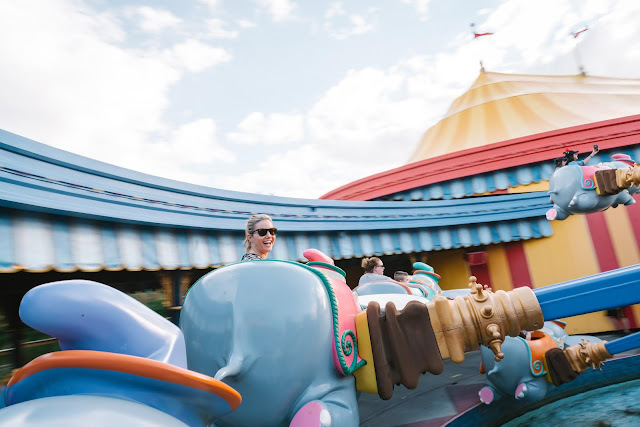 While we loved the more adventure-filled roller coasters such as Big Thunder Mountain and Space Mountain, there's something nostalgic about climbing aboard one of the Dumbo elephants and leisurely flying through the air in a circle for a few minutes. My advice: mix in a little of both! I would also recommend reserving some FastPass slots for the more popular rides. You can do this up to 30 days in advance online and up to 60 days if you are staying at a Disney resort. 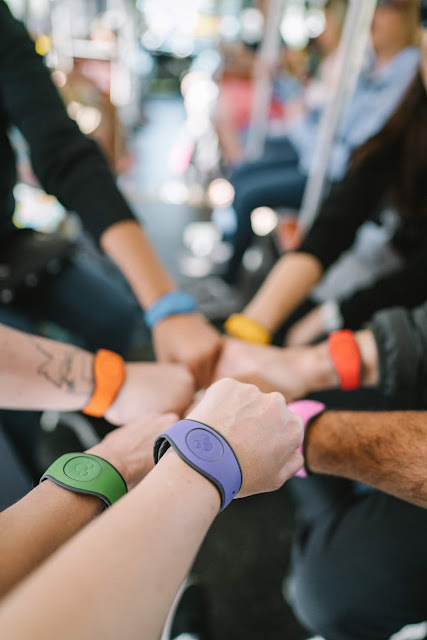 This is a free perk, which is all linked to your main entrance passes via your magic bands, so when you walk up to the FastPass line, you just scan your band and skip ahead past the masses. Extra Magic Hours: If you are staying at a WDW Resort Hotel, you may be entitled to enjoy something called "Extra Magic Hours" either before the parks open to the public or after they close. 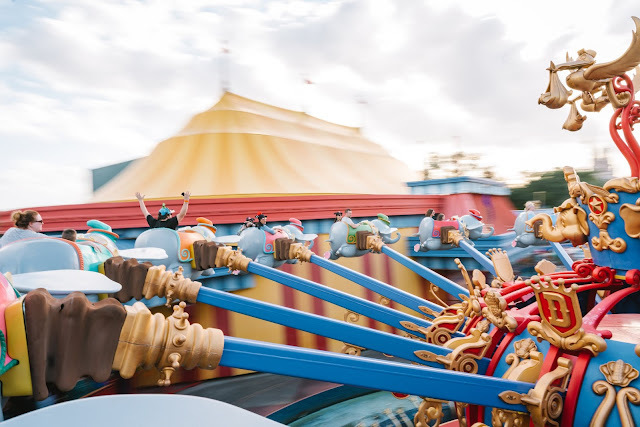 This is a GREAT time to experience some of the rides that may have longer wait times during the day. 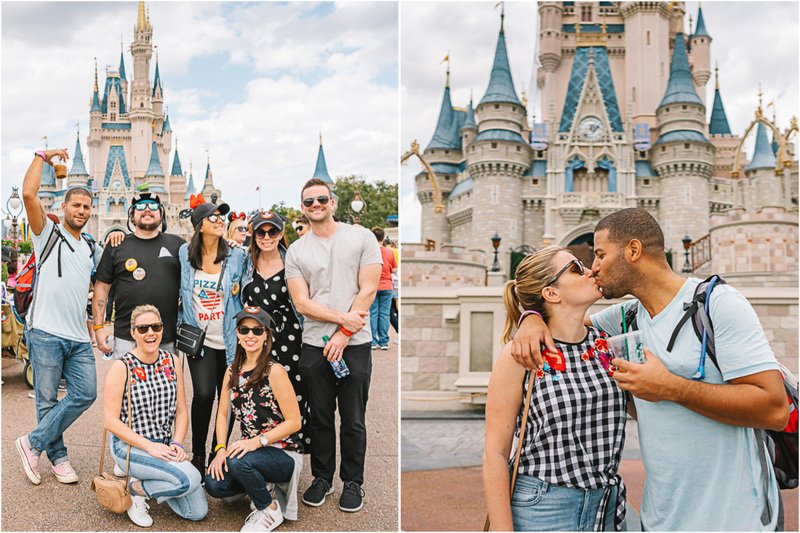 We definitely took advantage of this at Epcot, since the majority of our day was spent eating and drinking around the world. We used this extra time to visit attractions like "Soarin' Around the World," which was probably my favorite ride of the trip. 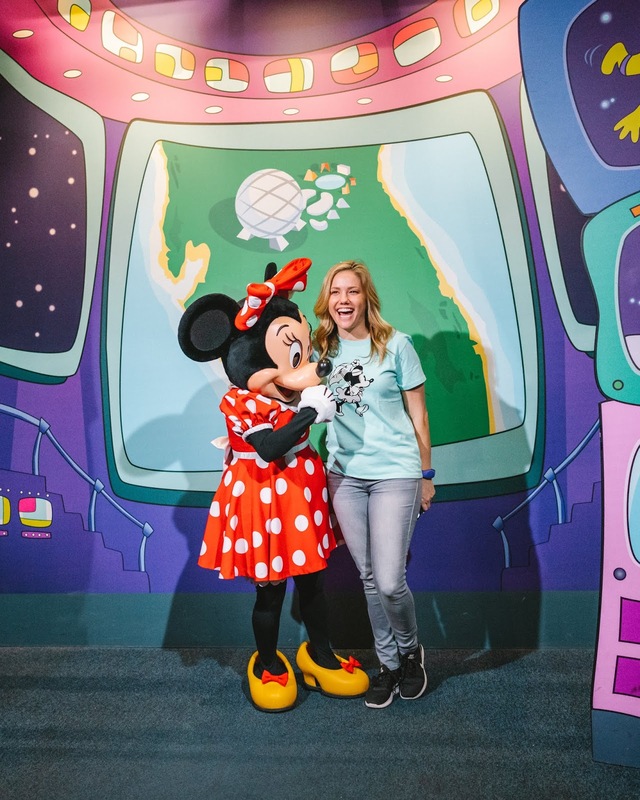 It's located in Futureworld at Epcot and features a 180-degree IMAX screen where you literally soar around the planet, experiencing different wonders of the world with a menagerie of sights, sounds and even scents! 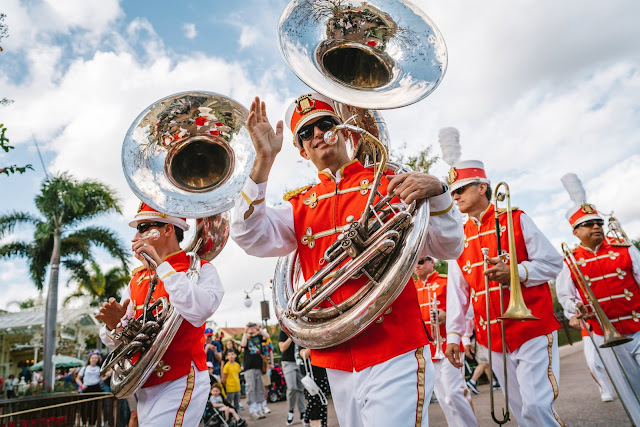 To find out if the parks are offering EMH during your stay, be sure to consult the Disney World schedule of events. 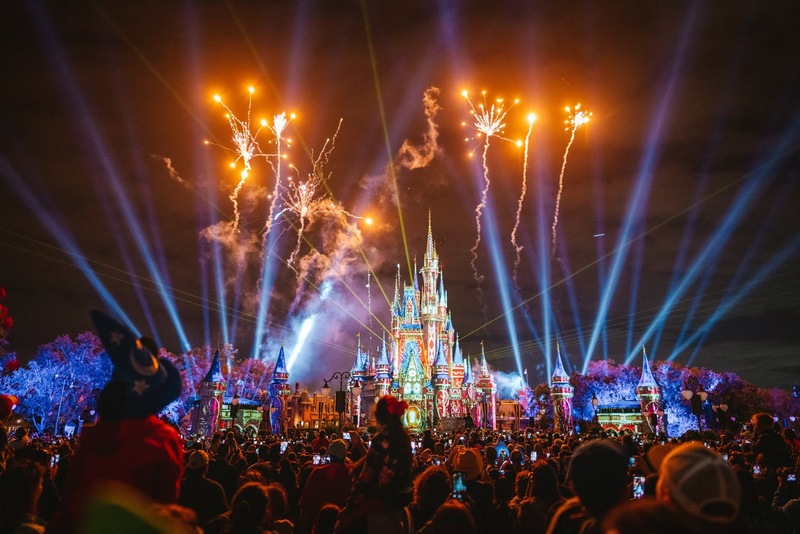 Stay for the show: Three of the four Disney theme park feature a fireworks show every night, but as far I'm concerned, Magic Kingdom is the major leagues in this department, while the rest are minor league affairs. Not only does MK boast the most impressive display... they also have a full pre-show projection and music display while you wait for the "Happily Ever After" show in front of Cindarella's Castle. Depending on the day, this starts anywhere from 8pm to 9:15 (so be sure to check the schedule here or on your app), with the pre-show starting about 45 minutes prior. However, if you want a decent seat, I would recommend camping out starting at least an hour ahead. Overall, it was a whirlwind 3 days that provided a lifetime of memories for these seven big kids at heart. So if you're thinking about going, do yourself a favor and book a trip! Because, as our late friend Matt Abrams would say: "Can't afford not to."